Conceptually, a Bridge is a connection between two applications in order to share data depending on a particular fields mapping. The source application is the one which provides data. Data variations trigger an event, through the bridge, that notifies the destination application. To connect the applications correctly it’s necessary to use its dedicated authentication. Each application has its own type of data authorization. Due to the applications’ different data structure, it’s necessary to establish a fields mapping in order to share data correctly. Fields mapping is a set of relationships between source application fields and destination application fields. Now is possible to enrich relationships between fields using dedicated functions like Excel style or associate source fields to social data. Below are explained all the steps using a simple example. 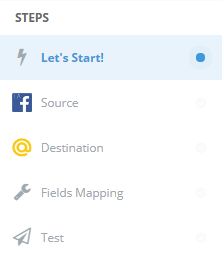 You can filter Source or Destination applications using groups at the bottom part of selection panel. 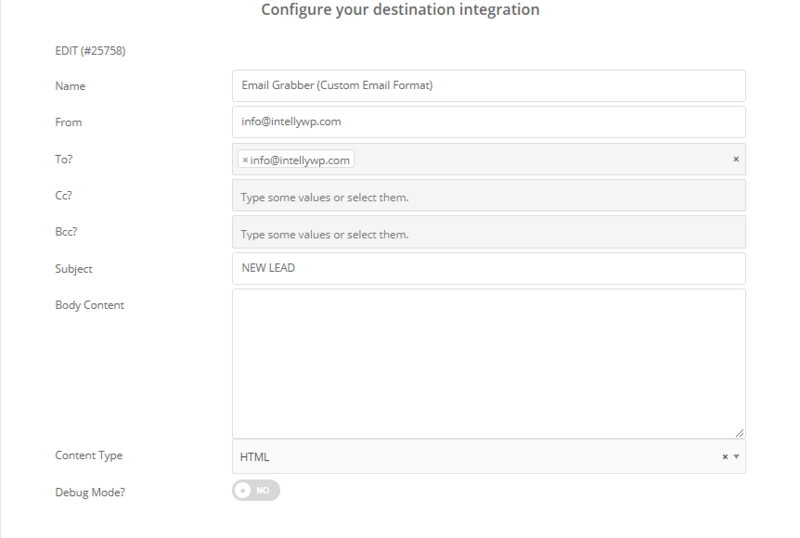 Here you can choose if you want to create an integration from scratch or select an existent one, already created in your LeadsBridge account. In the second step is possible to configure setup for the source application. Available settings depend on the chosen source. 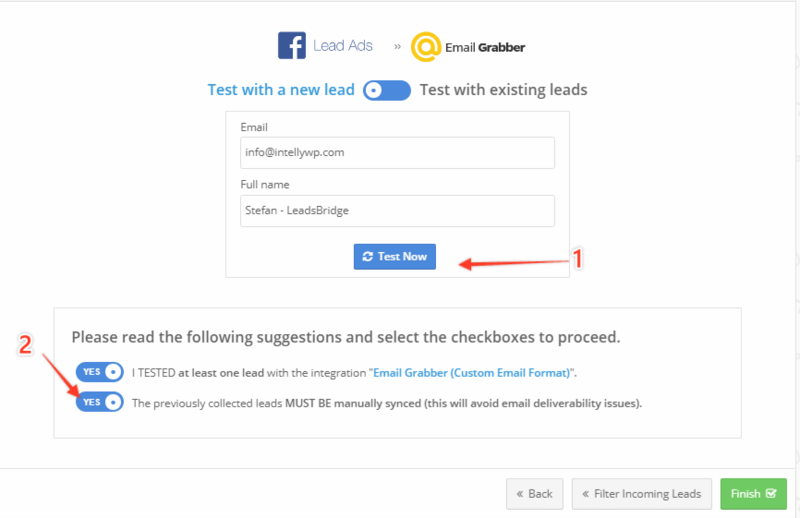 In this example, with Facebook Lead Ads, this step allows you to select Facebook related information such as Ad Account, Page and Ad Form. In this step it’s possible to establish relationships between a set of source fields and a set of destination fields. Custom fields: these are direct one-to-one values; the destination value is the value of the selected source field. Social data: source value could be used by LeadsBridge to find social data. For example, if the source value is an email, it could be associated to a social network account and use that data in the destination application. IMPORTANT: Social data is not available in this release. It will be released in the next version of the application. Contact us if you would like to be part of the beta of this feature. Function: the destination value is the result of a function applied to the source value. The function could be one-to-one, multi-to-one or one-to-multi. It could accept one or multiple fields as a source and give one or multiple values as result. See below for a further example. In the last step it’s possible to send a test lead from your Bridge (1). Once tested, it’s necessary to check the suggested agreements (2) and then click on the “Publish” button.